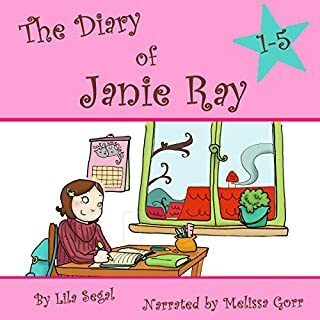 The Diary of Janie Ray, Books 1-5: Box Set! Books 1-5 of the exciting Janie Ray series! Have you ever dreamed about traveling through time? Eleven-year-old Janie Ray just got a new diary from her mom. At first she writes all about the private jokes she shares with her best friend, Sheila, and the grief she gets from her little brother, RJ, who always gets into her stuff and never gets in trouble. But then, one morning, she realizes that the mysterious inscription on the old medallion she found when she was seven is written in her secret language! Join Janie as she explores the hidden mysteries of the medallion.